For the language spoken by some of these people, see American French. For other interpretations, see Franco-American. Country-wide, there are about 10.4 million U.S. residents that declare French ancestry or French Canadian descent, and about 1.32 million speak French at home as of 2010 census. 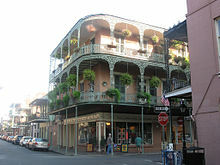 An additional 750,000 U.S. residents speak a French-based creole language, according to the 2011 American Community Survey. While Americans of French descent make up a substantial percentage of the American population, French Americans are arguably less visible than other similarly sized ethnic groups. This is due in part to tendency of French American groups to identify more closely with "New World" their regional identities such as Acadian, Brayon, Cajun, or Louisiana Creole rather as a one coherent group. This has inhibited the development of a unified French American identity as is the case with other European American ethnic groups. In the 17th and early 18th centuries there was an influx of a few thousand Huguenots, who were Protestant refugees fleeing religious persecution in France. For nearly a century they fostered a distinctive French Protestant identity that enabled them to remain aloof from American society, but by the time of the American Revolution they had generally intermarried and merged into the larger Presbyterian community. :382 The largest number settling in South Carolina, where the French comprised 4 percent of the white population in 1790. With the help of the well organized international Huguenot community, many also moved to Virginia. In the north, Paul Revere of Boston was a prominent figure. Noted American popular culture figures who maintained a close connection to their French roots include musician Rudy Vallée (1901–1986) who grew up in Westbrook, Maine, a child of a French-Canadian father and an Irish mother, and counter-culture author Jack Kerouac (1922-1969) who grew up in Lowell, Massachusetts. Kerouac was the child of two French-Canadian immigrants, and wrote in both English and French. French-American politicians from New England include U.S. Senator Kelly Ayotte (R, New Hampshire) and Presidential adviser Jon Favreau, who was born and raised in Massachusetts. According to the U.S. Census Bureau of 2000, 5.3 percent of Americans are of French or French Canadian ancestry. In 2013 the number of people living in the US who were born in France was estimated at 129,520. 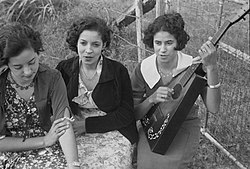 French Americans made up close to, or more than, 10 percent of the population of seven states, six in New England and Louisiana. Population wise, California has the greatest Franco population followed by Louisiana, while Maine has the highest by percentage (25 percent). From the 1870s to the 1920s in particular, there was tension between the English-speaking Irish Catholics, who dominated the Church in New England, and the French immigrants, who wanted their language taught in the parochial schools. The Irish controlled all the Catholic colleges in New England, except for Assumption College in Massachusetts, controlled by the French, and one school in New Hampshire controlled by Germans. Tensions between these two groups bubbled up in Fall River in 1884-1886, in Danielson, Connecticut, and North Brookfield, Massachusetts in the 1890s, and in Maine in the subsequent decades. A breaking point was reached during the Sentinelle affair of the 1920s, in which Franco-American Catholics of Woonsocket, Rhode Island, challenged their bishop over control of parish funds in an unsuccessful bid to wrest power from the Irish American episcopate. According to the National Education Bureau, French is the second most commonly taught foreign language in American schools, behind Spanish. The percentage of people who learn French language in the United States is 12.3%. French was the most commonly taught foreign language until the 1980s; when the influx of Hispanic immigrants aided the growth of Spanish. According to the U.S. 2000 Census, French is the third most spoken language in the United States after English and Spanish, with 2,097,206 speakers, up from 1,930,404 in 1990. The language is also commonly spoken by Haitian immigrants in Florida and New York City. Biloxi, Mississippi founded in 1699 by Pierre Le Moyne d'Iberville. Coeur d'Alene, Idaho French Canadian fur traders allegedly named the local Indian tribe the Coeur d'Alene out of respect for their tough trading practices. Cœur d'alêne literally means "heart of the awl." Dupont, Colorado, Du Pont, Georgia, Dupont, Indiana, Dupont, Ohio, Dupont, Pennsylvania, Dupont, Tennessee, DuPont, Washington, all founded by the Du Pont family or other French settlers. French Camp, California was the terminus of the Oregon-California Trail used by French-Canadian fur traders (including Michel Laframboise) in the 1830s and 1840s, making it one of the oldest settlements in San Joaquin County. Richard (2002) examines the major trends in the historiography regarding the Franco-Americans who came to New England in 1860–1930. He identifies three categories of scholars: survivalists, who emphasized the common destiny of Franco-Americans and celebrated their survival; regionalists and social historians, who aimed to uncover the diversity of the Franco-American past in distinctive communities across New England; and pragmatists, who argued that the forces of acculturation were too strong for the Franco-American community to overcome. The 'pragmatists versus survivalists' debate over the fate of the Franco-American community may be the ultimate weakness of Franco-American historiography. Such teleological stances have impeded the progress of research by funneling scholarly energies in limited directions while many other avenues, for example, Franco-American politics, arts, and ties to Quebec, remain insufficiently explored. While a considerable number of pioneers of Franco-American history left the field or came to the end of their careers in the late 1990s, other scholars have moved the lines of debate in new directions in the last fifteen years. The "Franco" communities of New England have received less sustained scholarly attention in this period, but important work has no less appeared as historians have sought to assert the relevance of the French-Canadian diaspora to the larger narratives of American immigration, labor, and religious history. Scholars have worked to expand the transnational perspective developed by Robert G. LeBlanc during the 1980s and 1990s. Yukari Takai has studied the impact of recurrent cross-border migration on family formation and gender roles among Franco-Americans. Florence Mae Waldron has expanded on older work by Tamara Hareven and Randolph Langenbach in her study of Franco-American women’s work within prevalent American gender norms. Waldron’s innovative work on the national aspirations and agency of women religious in New England also merits mention. Historians have pushed the lines of inquiry on Franco-Americans of New England in other directions as well. Recent studies have introduced a comparative perspective, considered the surprisingly understudied 1920s and 1930s, and reconsidered old debates on assimilation and religious conflict in light of new sources. At the same time, there has been rapidly expanding research on the French presence in the middle and western part of the continent (the American Midwest, the Pacific coast, and the Great Lakes region) in the century following the collapse of New France. For a more comprehensive list, see List of French Americans. ^ a b "2013 ACS Ancestry estimates". Factfinder2.census.gov. 2013. Retrieved 2015-10-15. ^ "French Americans - Dictionary definition of French Americans | Encyclopedia.com: FREE online dictionary". www.encyclopedia.com. Retrieved 2018-01-18. ^ "Franco-American Alliance | French-United States history ". Encyclopedia Britannica. Retrieved 2018-01-18. ^ Barkan, Elliott Robert (2013-01-17). Immigrants in American History: Arrival, Adaptation, and Integration [4 volumes]: Arrival, Adaptation, and Integration. ABC-CLIO. ISBN 9781598842203. ^ "LANGUAGE SPOKEN AT HOME BY ABILITY TO SPEAK ENGLISH FOR THE POPULATION 5 YEARS AND OVER : Universe: Population 5 years and over : 2010 American Community Survey 1-Year Estimates". Factfinder2.census.gov. Retrieved 2015-03-14. ^ Ryan, Camille (2013). "Language Use in the United States: 2011 - American Community Survey Reports" (PDF). U.S. Census. p. 3. Archived from the original (PDF) on 2016-02-05. Retrieved 20 September 2015. ^ Thernstrom, Stephan (October 10, 1980). Harvard Encyclopedia of American ethnic groups. Belknap Press of Harvard University Press. p. 1104. ISBN 978-0-674-37512-3. ^ Richard, Mark Paul (2002). "The Ethnicity of Clerical Leadership: The Dominicans in Francophone Lewiston, Maine, 1881–1986". Quebec Studies. 33: 83–101. doi:10.3828/qs.33.1.83. ^ a b "French in the US". netcapricorn.com. Retrieved 14 January 2017. ^ Rumilly, Robert (1958). Histoire des Franco-Américains. Montreal: Union Saint-Jean-Baptiste d’Amérique. ^ Lacroix, Patrick (2016). "A Church of Two Steeples: Catholicism, Labor, and Ethnicity in Industrial New England, 1869-1890". Catholic Historical Review. 102 (4): 746–770. ^ Lacroix, Patrick (2017). "Americanization by Catholic Means: French Canadian Nationalism and Transnationalism, 1889-1901". Journal of the Gilded Age and Progressive Era. 16 (3): 284–301. ^ Lacroix, Patrick (2018). "À l'assaut de la corporation sole : autonomie institutionnelle et financière chez les Franco-Américains du Maine, 1900-1917". Revue d’histoire de l’Amérique française. 72 (1): 31-51. ^ McCafferty, Michael (December 21, 2001). ""Chicago" Etymology". The LINGUIST List. Retrieved October 22, 2009. ^ McCafferty, Michael (Summer 2003). "A Fresh Look at the Place Name Chicago". Journal of the Illinois State Historical Society. Illinois State Historical Society. 96 (2). ISSN 1522-1067. Archived from the original on 2011-05-05. Retrieved October 22, 2009. ^ "Origin of State Names". infoplease.com. Retrieved 14 January 2017. ^ Richard, Sacha (2002). "American Perspectives on La fièvre aux Etats-Unis, 1860-1930: A Historiographical Analysis of Recent Writings on the Franco-Americans in New England". Canadian Review of American Studies. 32 (1): 105–132. ^ Pinette, Susan (2002). "Franco-American Studies in the Footsteps of Robert G. LeBlanc". Quebec Studies. 33: 9–14. ^ Takai, Yukari (2008). Gendered Passages: French-Canadian Migration to Lowell, Massachusetts, 1900-1920. New York City: Peter Lang. ^ Waldron, Florence Mae (2005). "'I've Never Dreamed It Was Necessary to Marry! ': Women and Work in New England French Canadian Communities, 1870-1930". Journal of American Ethnic History. 24 (2): 34–64. ^ Waldron, Florence Mae (2009). "Re-evaluating the Role of 'National' Identities in the American Catholic Church at the Turn of the Twentieth Century: The Case of Les Petites Franciscaines de Marie (PFM)". Catholic Historical Review. 95 (3): 515–545. ^ Ramirez, Bruno (2015). "Globalizing Migration Histories? Learning from Two Case Studies". Journal of American Ethnic History. 34 (4): 17–27. ^ Richard, Mark Paul (2016). "'Sunk into Poverty and Despair: Franco-American Clergy Letters to FDR during the Great Depression". Quebec Studies. 61: 39–52. ^ Gitlin, Jay (2009). The Bourgeois Frontier: French Towns, French Traders, and American Expansion. New Haven: Yale University Press. ^ Englebert, Robert; Teasdale, Guillaume, eds. (2013). French and Indians in the Heart of America, 1630-1815. East Lansing: Michigan State University Press. ^ Barman, Jean (2014). French Canadians, Furs, and Indigenous Women in the Making of the Pacific Northwest. Vancouver: UBC Press. ^ Teasdale, Guillaume; Villerbu, Tangi, eds. (2015). Une Amérique française, 1760-1860: Dynamiques du corridor créole. Paris: Les Indes savantes. Lacroix, Patrick (2016). "A Church of Two Steeples: Catholicism, Labor, and Ethnicity in Industrial New England, 1869–90". Catholic Historical Review. 102 (4): 746-770. Lacroix, Patrick (2017). "Americanization by Catholic Means: French Canadian Nationalism and Transnationalism, 1889-1901". Journal of the Gilded Age and Progressive Era. 16 (3): 284-301. Lacroix, Patrick (2018). "À l'assaut de la corporation sole : autonomie institutionnelle et financière chez les Franco-Américains du Maine, 1900-1917". Revue d’histoire de l’Amérique française. 72 (1): 31-51. Herbermann, Charles, ed. (1913). "French Catholics in the United States". Catholic Encyclopedia. New York: Robert Appleton Company. Monnier, Alain. "Franco-Americains et Francophones aux Etats-Unis" ("Franco-Americans and French Speakers in the United States). Population 1987 42(3): 527-542. Census study. Murphy, Lucy Eldersveld, Great Lakes Creoles: A French-Indian Community on the Northern Borderlands, Prairie du Chien, 1750-1860. New York: Cambridge University Press, 2014.